Caps fans celebrated going to the Stanley Cup Final like most cities celebrate winning the Cup. At long last, the Capitals are headed to the Stanley Cup Final. The Caps beat the Lightning, 4–0, in Game 7 last night, behind some stellar goalkeeping by Braden Holtby and two goals from Andre Burakovsky. This is only the second time Washington will be playing for the Stanley Cup, and the first since 1999. Fans took the streets after the final buzzer, celebrating the way other fans might if their team had already lifted the Cup. The party started at the Caps’ arena, where fans gathered to watch the game on the big screen, and spilled out toward the steps of the National Portrait Gallery. It might look like chaos but, according to the Washington Post, the whole thing broke up after about a half hour. What last night’s NBA and NHL playoff games lacked in drama they made up in physicality. It’s expected that tensions will run high during an NHL Game 7, so it wasn’t shocking to see Washington punk Tom Wilson and Tampa’s Braydon Coburn pick up matching double minors for this scrap in the first period. What is a little shocking is seeing guys in a do-or-die game throw actual punches that disqualify them for five minutes. But that’s exactly what Wilson and Coburn did, immediately after exiting the box. Meanwhile in Boston, Marcus Morris and Larry Nance Jr. had themselves a little dustup. Although Bill Laimbeer would probably consider that a friendly greeting, that’s still a decent fight by 2018 standards. Dozier gave one a ride but it hit in the one spot in the park where it wouldn’t go out. 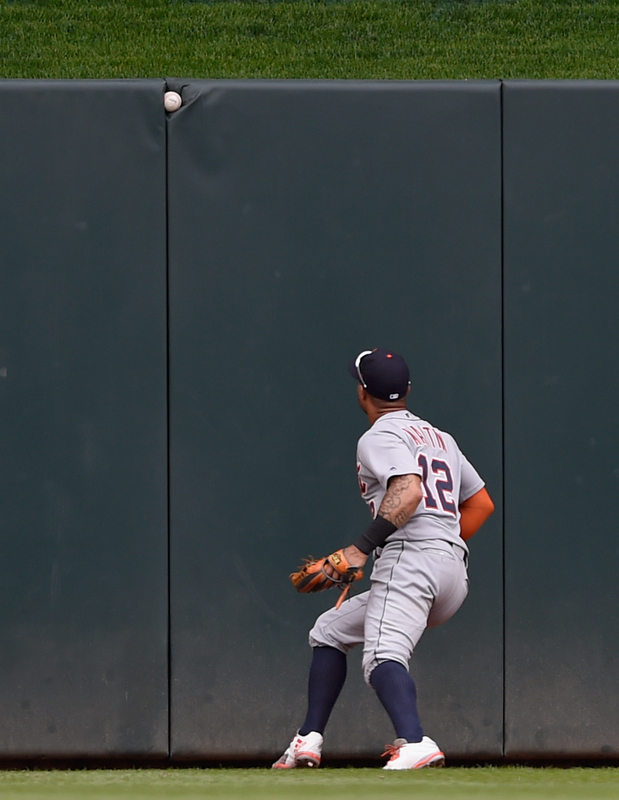 If that ball is just an inch higher it probably bounces on the top of the wall and over. A kid in Canada found a message in a bottle that a Massachusetts woman dropped in the ocean 18 years ago. ... The post office is making scratch-and-sniff stamps. ... That Google glitch that showed Jose Calderon as a billionaire has become a running joke with the Cavs. ... This 92-year-old gymnast is amazing. ... Lenny Dystrka got arrested after he allegedly pulled a gun on an Uber driver and was found to have drugs on him. [Killmonger voice] Is this your style icon? Beckham. Cargo shorts AND flip flops. But what’s it feel like coming out?